The company Te-System, manufacturer of the XCAPI, strongly recommends following configuration of the virtual machines. In the event of a fault, eg in the case of connection interrupts during transmission, no support is provided if subsequent configurations have not been carried out. The original document of the company TE-Systems can be requested in <% IXI-UMS%> Support. This document is intended to support you during the configuration of the XCAPI in a Microsoft Hyper-V environment. For this we are going to adjust the energy options and the clock source of the Microsoft Hyper-V for sufficient timing behaviour, assuring an operation without disruptions which are commonly based on wrong CPU clocking between several guest operating systems and the host. Please note that it is essential testing the Microsoft Hyper-V and VoIP environment for sufficient resource and real-time behaviour. For some extended information on installation procedures regarding the Microsoft Hyper-V and the virtual machines please refer to the respective manuals. A short installation manual for the XCAPI is available at XCAPI Website. Up to a certain degree, the XCAPI can cope with time shifts in the virtual machine which is a general problem when a virtual machine does not have sufficient CPU time due to other time-consuming processes on the host. Without this adjustment, real-time applications like Softfax are not feasible because of gaps in the audio stream which can lead to aborted fax transmissions. For enabling XCAPI Query Performance Counter (QPC) support, you need to run the configuration tool xfinetune.exe. This executable can be found in the installation folder of the XCAPI. There you have to activate the option High Resolution Time Source within the General Settings. 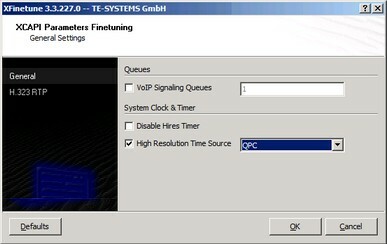 Please select the option QPC for the time source parameter. Afterwards, please restart the CAPI application. 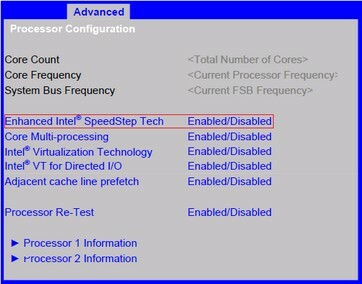 Please review the Bios of the Hyper-V host and disable all related Enhanced Intel SpeedStep(R) Technology settings. 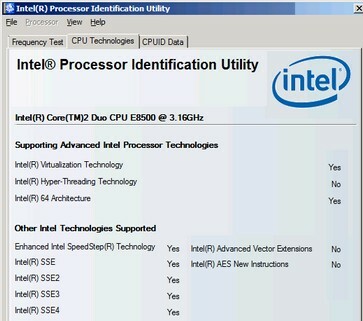 You could use the Intel(R) Processor Identification Utility to verify the SpeedStep(R) technology support of the CPU. 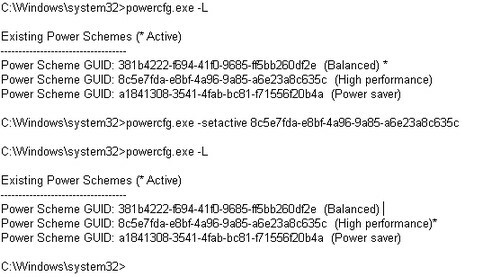 Additionally you might have to disable any Power Options within the Windows host and client. Referring to this, please review also the BIOS settings.